I listened to this on audiobook on my drive back to college and it made the 5 hour drive FLY by. I always listen to my audiobooks at 1.5x speed, so that’s how I was able to finish it during the drive. I really enjoyed this book and I think it was a good continuation/conclusion of the Creekwood series. I liked that Simon and the rest of the characters were almost central characters. The story stayed within the friend group which was kind of cool. I wish that I would have read this right after I finished Simon Vs. The Homosapiens Agenda, but I don’t think it was out when I read it. I think Leah was a cool character and some of her stories and scenes were very relatable. 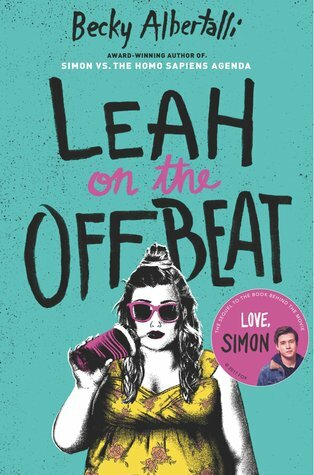 I find it kind of interesting that the whole book is about Leah being bisexual, but there wasn’t much about her wanting to be with a guy. She was very focused on being with a girl, which is fine, but I didn’t see how it was about her bisexuality, though. I loved seeing Simon and Bram from the first book because they’re just so cute. I really think that that is one of my favorite relationships from a YA book.